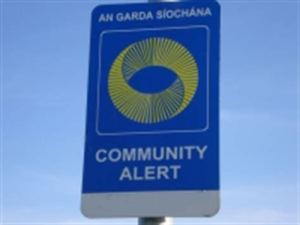 Johnstown Tidy Towns is a voluntary group established with the aim of improving our area and creating a clean and litter free environment for us to enjoy. Johnstown Tidy Towns have entered the Tidy Towns competition on two occasions (2017 and 2018). Our 2018 results represented a 6% improvement on our previous year results and this was recognised by an Endeavour award being presented to Johnstown Tidy Towns. Our report is available here. Johnstown Tidy Towns urgently require volunteers to help with current and future projects. Please keep checking this page and like and follow the official Facebook page. If you are interested in getting involved, please email the committee at johnstowntidytowns@gmail.com or visit the Facebook page. The Johnstown Tidy Towns AGM was held on Monday 24th of September at 7:30pm in the Ardboyne Hotel. Full details and agenda were published on the Facebook page. The minutes of the meeting will be published in due course. Bag packing days in Supervalu to raise funds for the Johnstown Tidy Towns initiative – dates in 2018 are 4th and 5th of May and 3rd and 4th of November. Help required for these dates to help raise funds for Johnstown Tidy Towns. If you have any questions, please get in touch by email or through the Facebook page. Johnstown Tidy Towns recently oversaw the placement of entrance signage and signage encouraging dog walkers to clean up throughout Johnstown. Johnstown Tidy Towns planted shrubs on a verge at the north end of Johnstown adjacent to the Kentstown road. Johnstown Tidy Towns installed flower boxes on the bridge at the west end of Johnstown adjacent to the Ardboyne Hotel. Johnstown Tidy Towns are actively campaigning for additional bins in Johnstown. Fortnightly litter pickups – meeting at 11am outside Johnstown Shopping Centre (dates of upcoming clean ups below). Saturday 23rd June 2018 – no litter pick due to the big dig planting project. Friday 2nd / Saturday 3rd November 2018* – bag packing / bucket collection in Supervalu to take precedence and volunteers will be required. (see below). Johnstown Tidy Towns plan to erect anti-litter signage throughout Johnstown. Farmers Markets to raise funds for the Johnstown Tidy Towns – venue required. Meath River Rescue will be organising a Duck Race on the River Boyne in aid of Johnstown Tidy Towns – TBA. Meath River Rescue will take local children on tours of the river – TBA. Meath River Rescue have agreed to assist with the cleanup of one of the streams leading to the River. Welcome to johnstowncommunity.com. This site is intended to be a one stop shop for everything Johnstown. If you are on the committee of a residents’ association or a community group, feel free to get in touch.